While we ease ourselves into March, or better known in the eye care industry as Workplace Eye Health Month, we are reminded how important it is to take care of our vision. With the average American spending 40 plus hours a week at work, it’s important that we keep informed on how to best take care of our eyes while on the job. 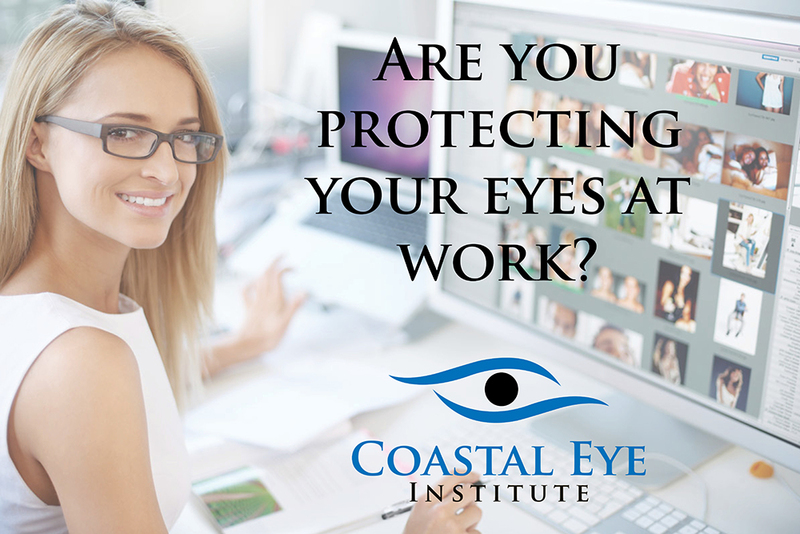 Whether you spend your day welding, drilling, mixing chemicals or typing out reports on a computer, it is important to know what precautions you should be taking to protect your vision. Make sure that you have the proper safety wear. When buying protective eye wear make sure that it is marked with a Z87 or Z87+ on either the frame or the lens. This tells you that it meets the proper safety guidelines. When not in use, put your glasses or goggles in an old sock. This will help keep objects from scratching the lenses. Attach a strap to your glasses so that they can hang around your neck between uses. This will help you avoid losing or breaking your glasses. Always make sure to be prepared in case of an eye related injury. If you or someone you know have suffered from an eye related injury make sure to contact a medical professional immediately!